We had a chance to see these up close and personal for the first time two weeks ago at the AMA Expo in Ontario, California. Now they are listed as In-Stock and Shipping from many popular Etailers. 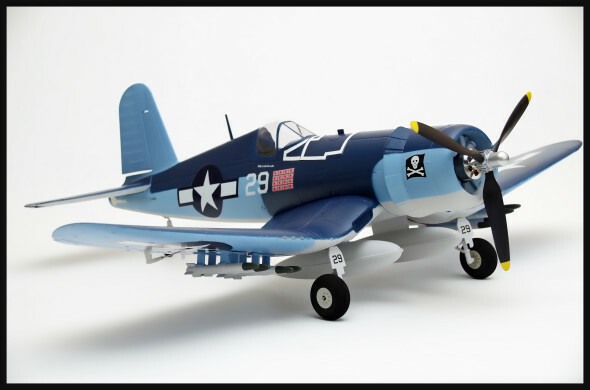 We received the Corsair and Hurricane and will be publishing full reviews in FlyRC in the near future. 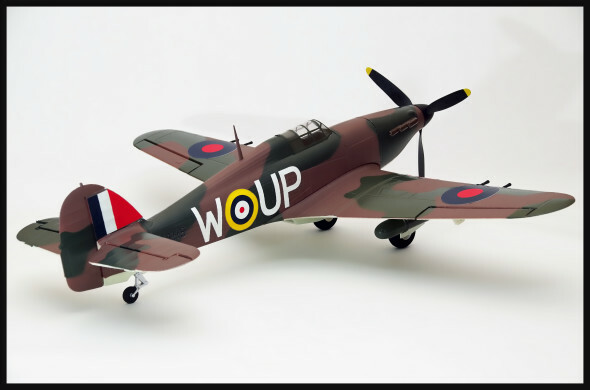 In the meantime, we wanted to share just how nice these quick building warbirds look in the studio. Build time is 30-60 minutes, depending on how often you stop to ogle these detailed scale models! All electronics are factory installed. A WBL-1200 brushless outrunner, 12 amp ESC and nine gram servos are included in each kit. Scale props are also a feature of these kits. With a four channel receiver and 2S 1000mAh LiPo, you are ready to hit the park for a little weekend fun!